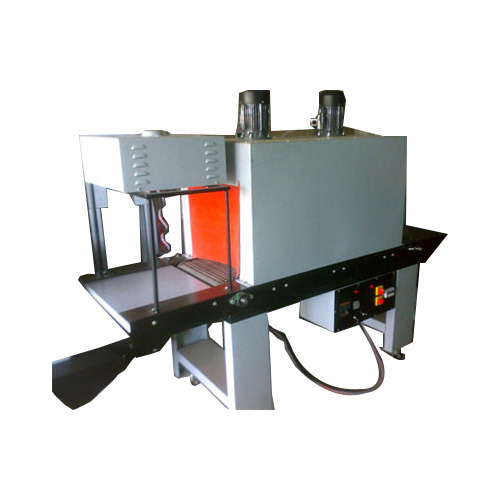 Heat Shrink Packaging Machine offered comprise latest technology based machines that come supported by carbon steel frame as well as can be operated through adjustable speeds which make these highly preferred and demanded by the customers. Further, these machines find suitability for meeting the shrink packaging needs of products like food, pharmaceutical, cosmetics, and other products.Heat Shrink Packaging Machine LD flim Some of it features include advanced PLC programmable controller for smooth working performance; comes supported by protection and alarm device; providing for high-speed stable working performance; touch screen support for handling different settings. Weight-150 kg, Gross Wt upto-200 Kg. Shrinkable film use: - LD / PVC / polyoly film.